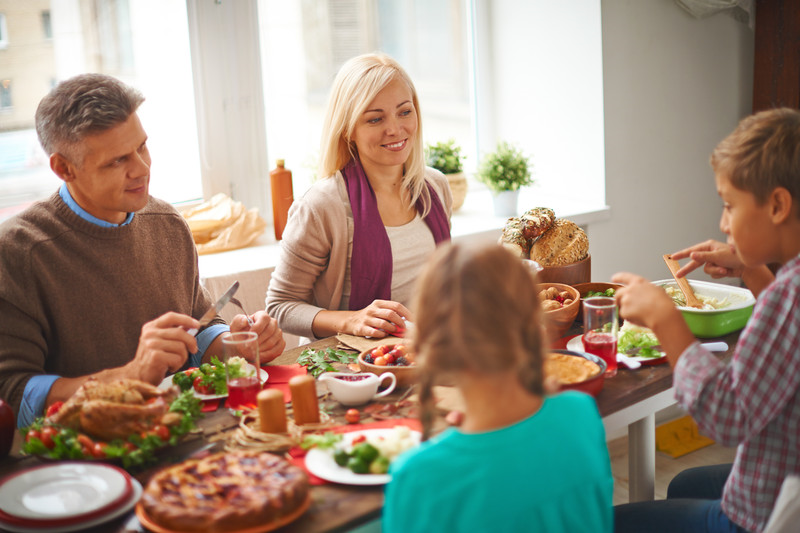 Struggling with hearing loss throughout the holiday season can be particularly difficult. While you may honestly prefer to NOT hear a few of your relatives, the conversations you do want to indulge in can be stressful. And because nearly all large holiday gatherings tend to be loud, it can be nearly impossible to concentrate on any one person or conversation. In order to participate in conversation, you have to contend with background music, people talking all at once around the table, and the Thanksgiving football game blaring in the background. This produces an impossible situation that can make you feel detached and left out. Short of making everyone repeat themselves or remaining silent, what are your options? It’s true, 10 years ago you didn’t have many. The older analog hearing aids could amplify speech—the trouble was that they also amplified everything else, most notably background noise. Since all sound was just made to be louder, it didn’t help much with understanding the people you were talking to. But hearing aids have changed, and for the better. In particular, contemporary hearing aids have two features that can salvage your holiday season: background noise reduction and speech focus. Older analog hearing aid models were in reality very simple devices. They consisted of a microphone, an amplifier, and a speaker. Sound was picked up by the microphone, amplified, and directed through the speaker to the ear. The drawback was, of course, that the hearing aid couldn’t differentiate between vocalization and background noise. The amplifier made all sounds louder, so unless you were in a tranquil environment, you experienced a tough time hearing voices. Because holiday events are anything but quiet, what you necessarily require is a hearing aid that can differentiate between sounds—which is exactly what modern digital hearing aids can do. Digital hearing aids, in combination with containing a microphone, amplifier, and speaker, also include a digital processor. That means sound can be converted into digital information that the hearing aid can make use of to distinguish between different kinds of sounds. By identifying and marking different kinds of sounds, today’s hearing aids can be programmed to amplify only sounds with particular properties, including all of the frequencies you have difficulty hearing. Background sounds, in contrast, can be easily recognized and silenced. In addition to restraining background sound, contemporary hearing aids can also recognize and focus on speech. Speech has a unique attribute in that it is made up of primarily of high-frequency sounds. This makes it easy for the digital processor to differentiate between speaking and background noise, which is predominantly low frequency. On top of that, digital hearing aids have what are known as directional microphones, which can detect the direction of sound. Some hearing aid models can even focus the microphones in targeted directions, such as the direction of the person you’re conversing with. Are you ready to reclaim your holiday season? Call us today and we’ll assist you to select among the amazing digital hearing aid technology available to you. Then, with your new hearing aids—outfitted with background noise suppression and speech focus—you’ll be able to hear all of the conversations with comfort and clarity. As for the relatives you don’t want to hear? Not to worry, the hearing aids also come equipped with an off button.